The first month of the new year draws to a close and we hope it has gone well for you. As we move forward into February, which gets its name from Latin term februum, which means purification, via the purification ritual Februa performed at this time of year. The Romans also considered it an ill-fortuned month which is why it is shorter than the others. So the theme for this February will again be curses, cursed items, ill-fortune and, perhaps, defense against such terrible things. “Yes?” she asked, following curiously. “Here we go,” he said gesturing to a newly installed door as he produced a silver chased key. With a soft ‘snick’ he unlocked the door and pushed it open. On the other side was a well appointed study, soft light coming through the window. These doorways are made together, with the frames are all made from a single section of wood cut for each frame. Each is constructed to be as close too identical with each of the others as possible, down to matching the grain of the wood and the polish of the handle. If your campaign or world has a greater place for those enigmatic one-eyed giants of legend, the cyclops, this product should provide you with a multitude of tools and ideas for their place and use in your game. Legendary Races: The Cyclops is a 16-page PDF (13-pages if you remove the cover/credits and OGL pages) for the Pathfinder RPG written by Stefen Styrsky and published by Purple Duck Games. These come in all shapes and sizes, just like any other candles. They are always made in pairs however. Atherak ‘the Bloody’, King by right of conquest of all of lands of the west, ruled by strength and fear. Atherak was never afraid of bloodying his sword, Throat-Opener, to personally send a message to those who thought to oppose him. Atherak met his end at the hands of the Four Heroes of Eagleholm, who gave their lives to kill the tyrant. Throat-Opener was not found and since then it has appeared in the hands of one petty ruler after another, none who have been able to use it to restore Atherak’s kingdom. These swords are always made of dark metal, only the edge is bright and razor sharp. The hilt is plain or ornate as befits the tyrant for which it was made. Their sheaths are always made in such a way to enhance the sound of drawing fourth the blade. 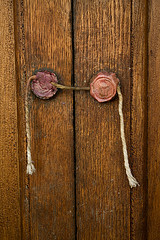 The old thief looked at the door and the plain wax seal hanging from the latch. “We cannot open this, young man,” he said to his apprentice. The Arch-Wizard and Master Conjurer Vablake arrived mounted on a beautifully sleek winged mare, its coat as black as a starless night. As soon as the conjurer dismounted, the winged mare shimmered and shrunk, becoming a black hair young woman in a simple gray gown who followed Vablake meekly, carrying his satchel. I had never seen its like that before and I followed, hoping to learn more about this magic . . . . and the strange shape-changing woman. These summoned servants are unique among the tasked servitors in possessing two distinct forms: one humanoid, the other that of a winged mount (usually a horse but occasionally more exotic forms are chosen). Their humanoid form is almost inevitably attractive and graceful while the mount is always swift and determined in travel. You are currently browsing the Sea of Stars RPG Design Journal blog archives for January, 2011.